8:00 am Holy Eucharist Rite I from The Book of Common Prayer. 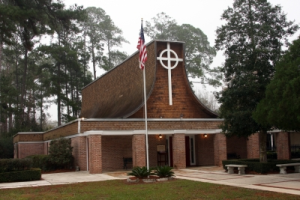 9:00 am Parish Breakfast a donation of $2.00 is requested. 10:30 am Holy Eucharist Rite II from The Book of Common Prayer. 5:00 pm Santa Misa "En Espanol"
A informal Celebration alternating between Rite I and Rite II from The Book of Common Prayer. A brief meditation on the Scripture, and an opportunity for discussion.